Heita, Howzit! Did you know that South Africans can vote abroad in the 2019 elections? Lekker right? There are hundreds of thousands of us South Africans living abroad and our country needs every vote to ensure that our Democracy is maintained. Mzansi has a proportional representation system. (Eish! That basically means that the more votes a party gets, the more seats they will get in Parliament). The more diverse the representation in Parliament, the healthier our Democracy will be. More importantly, voting is your opportunity to have your say as to who governs South Africa and it reminds them that they are ultimately accountable to the people of South Africa. 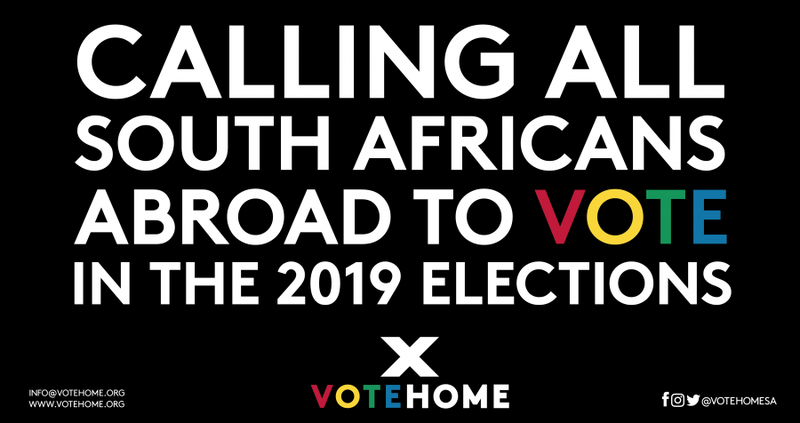 That is why the VOTE HOME campaign, a non-partisan digital campaign, launched this month with the aim to reach every South African living abroad to help and encourage them to cast their vote wherever they live in the world. So, if you find yourself standing around the braai, complaining about the crime in SA, the corruption, state capture, the lack of service delivery or the increasing cost of living, then now is the time to do something about it. Register to vote today! STEP 2: If you’re registered, then Shahp Shahp! Head over to www.votehome.org more info on how to vote and sign up for email alerts so you don’t miss any important deadlines. STEP 3: If you’re not registered, moenie stres nie! You can either register at your nearest Embassy, Consulate-General or High Commission or the next time you go home. Check out our guide to overseas voter registration for more info. REMEMBER: You will need to BOTH your green, bar-coded South African ID book; smartcard ID; or valid Temporary Identity Certificate, AND your valid South African passport or temporary passport to register and to vote. Both documents are essential and must be valid! Go to www.votehome.org – all the info is there – and sign up to get email notifications… we’ll keep you up to date with everything you need to know about voting abroad. Head over to our website. We’ve made it super easy for you to copy & paste some text if you’re not sure what to say. Our country has come a long way and certainly has a long way to go. We need your help so that we can make that impact and help steer South Africa to a better future for our friends and family back home. We love Mzansi. We have the right and responsibility to cast our vote and ensure that our Democracy stays strong and alive. Dankie. Enkosi. 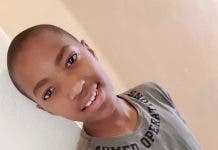 Ngiyabonga. Ke A Leboga. Thank You. 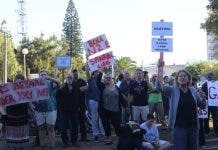 Article supplied by the DA Abroad. The DA Abroad is the overseas network of the Democratic Alliance (DA), a Liberal Democratic party that is the second largest party in South Africa. The DA Abroad's aim it to contribute to the success of our country through projects and campaigns that are aligned with the DA’s vision.